We do! 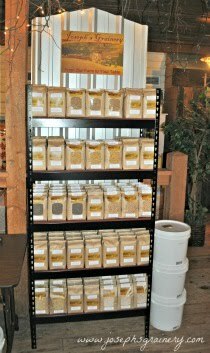 Here at Joseph's Grainery we can take you to the exact field where your whole grains are grown. In a world where most people don't have a clue about what's in their food, more and more are finding it of utmost importance to know how the food they eat gets on their table. This is a quest we find admirable. Your health, waistline and family will thank you for it. This will show you the exact field where your Joseph's Grainery Soft White Wheat and Barley are grown...enjoy!